The National Armenian Law Students Association teamed up with ArmenBar to conduct Pro Bono Legal Clinic in March of 2018. The clinic will continue activities under the Armenian Bar Association’s Glendale, CA pro bono clinic. The Armenian Bar Association and the National Armenian Law Students Association are excited to announce the establishment of pro-bono services. Entitled “New Beginnings: A Guide to Clearing Criminal Records,” those who are stigmatized by their old and encumbering criminal records are given a fresh chance to regain control over their lives. With the aim of expanding access to justice, the initial focus has been on expungement and Proposition 47 relief. 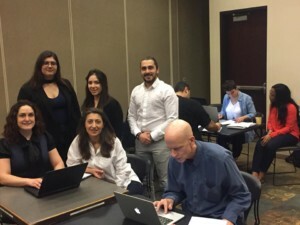 Although Proposition 47 and expungements are offered county-wide by other groups, this initiative is focused on reaching the Armenian community in a less-intimidating setting with bilingual staff. An expungement, on the other hand, is a more traditional and absolute type of remedy, resulting in the ultimate dismissal of a prior conviction. California’s expungement law permits qualified candidates convicted of a crime to file a petition for dismissal. The process includes re-opening the case, setting aside the plea, and ultimately dismissing the case in the interests of justice. Qualifying candidates cannot currently be on probation, parole, or facing new charges. The benefits align with Proposition 47 – but expungements do more than just reclassify convictions. They clear an applicant’s criminal record and prevent exposure in several types of live scans, with very few exceptions. Participants engage in a process where the applicants are instructed to obtain their court dockets, then call to make an appointment. On the day of the clinic, applicants are welcomed into a room where they are assisted with the appropriate paperwork, including the preparation of motions and applications, declarations, fee waivers, proof of service, and next-step instructions. Each consultation lasts a little more than one hour. For additional information, contact Info@ArmenianBar.org.